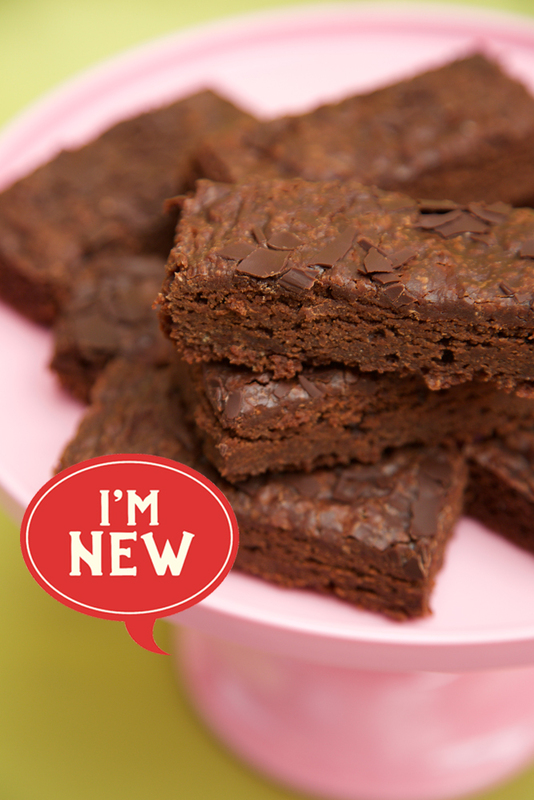 Our new gluten free and vegan brownie topped with dark chocolate shavings. This gorgeous brownie is as gooey as a conventional non-free from brownie. This gooeyness is achieved by baking the brownies low and slow rather than using a harsh heat that can dry cakes out, resulting in a lovely fudgey texture. Customers tell us it’s one of the best brownies they’ve had without at first realising it’s also vegan and gluten free. It is part of our growing range of plant based cakes that are still indulgent and naughty, and taste every bit as indulgent as our originals.